This is my blog about technical items, life, fun, activity, and soccer that I update infrequently. I would love to say that I update this daily but, that is not the case. I am a father of 4 kids and find myself surrounded by my family and fun. I am also technology lover and appreciate all things based on tech. This blog has been active since Dec 15th, 2000. This little blog has gone through a lot of changes over the years. It started on an old cobalt server running chili asp. From that time it has evolved a lot. I found a screen shot from the wayback machine from January 2002 At that time it was about soccer and life.As time moved on this little blog moved on to information regardingmore soccer and then kids. Jimiz – What is it? I’m a huge Jimi Hendrix fan and loved the spelling of jimi with the ‘i’. As a kid I was called Jimmy all the time. 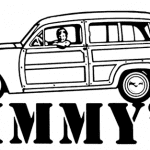 So having grown up skateboarding there was a brand called jimmyZ. I always thought it was just a cool surf company. so I took that name and idea. Early on the internet I needed a username for sites that people were not using so Jimiz became my username and persona. I have kept it ever since. Thanks for the how-to post Jim. With 50+ categories of content filtering OpenDNS is definitely a great way to secure home Internet for kids, while making it faster and more reliable for the whole family. I’m sure this will help a lot more parents set-up OpenDNS on their routers, which helps ensure that every device in the home is covered, including laptops, iPads, XBoxes, the Wii, and more. We’d love to send you an OpenDNS t-shirt so you can show off your Internet know-how! Can you send me your size and a shipping address? a very nice blog , good work .